Programmed alongside a selection of showbiz success stories, a real-life tale of public failure stands tallest. Music of Lee Scratch Perry, August 27 and 30), many of this year’s selections put the spotlight on African-American artists and performers. Phunny Business: A Black Comedy (which screens on August 27 and then closes the festival on September 1) remembers All Jokes Aside, a defunct Chicago comedy club that played host to just about every rising black star of the ’90s stand-up scene; many of them are interviewed here. The film’s spirit is infectious, though the voiceover sometimes comes on a little strong, like an open-mic amateur pandering for laughs. Much more effective is Infiltrating Hollywood: The Rise and Fall of the Spook Who Sat by the Door (August 21 and 25). A documentary on Ivan Dixon’s radical blaxploitation classic, Rise and Fall bolsters its conventional behind-the-scenes material with an artfully assembled prologue that recaps the civil-rights movement in miniature. Placing Dixon’s film in sobering historical context, this glorified making-of special gains a measure of real-world import. 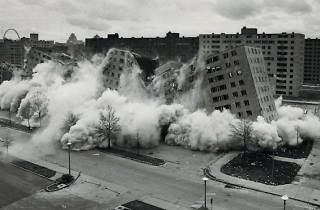 For something truly exceptional, though, look past those inside-entertainment tributes to Chad Freidrichs’s The Pruitt-Igoe Myth (Sunday 7 and August 11), about the eponymous St. Louis housing project. 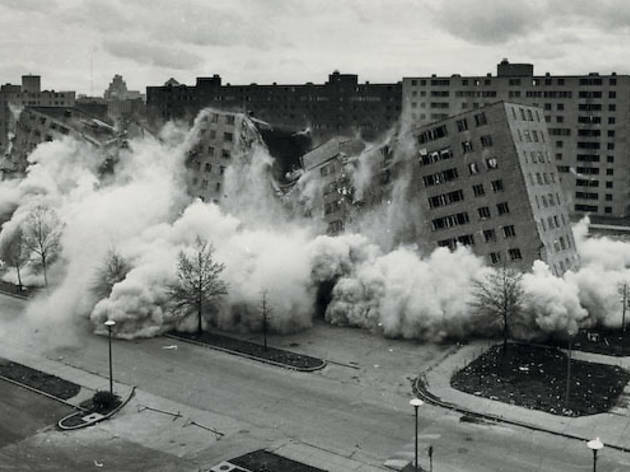 Constructed in the mid-’50s and demolished two decades later, Pruitt-Igoe is regarded today as not just a failure but a symbol of failure—big, plain proof that public housing cannot and does not work. Freidrichs begs to differ, and his thoughtful, engrossing documentary aims to uncover what really went wrong with this ambitious social-architectural experiment. With journalistic vigor and clarity, Myth takes us through the project’s first few years, when it seemed an almost utopian solution to urban poverty, and then on to the later years, when the city began to neglect the upkeep of buildings and ignore the rise of crime in the area. The film then digs deeper, drawing connections to the ongoing decline of St. Louis—a “slow-motion Katrina,” someone calls it—and to the mass exodus of wealthy whites to the surrounding suburbs. Freidrichs leaves much of the oral history of Pruitt-Igoe to his interview subjects, many of whom are former tenants. Their stories lend the film a disarming human dimension; what starts as an exhaustive history lesson and impassioned act of muckraking becomes, finally and triumphantly, a poetic survivors’ account. Programmed alongside various success stories, Myth is something just as valuable: a tale of very public failure, reclaimed as a lesson for the future. The Black Harvest International Festival of Film and Video runs Friday 5 through September 1 at the Gene Siskel Film Center.